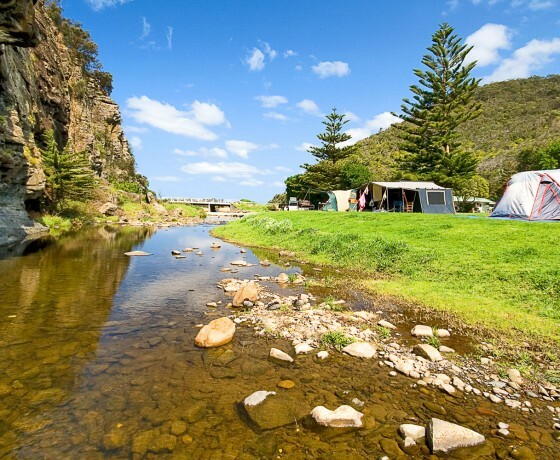 Cumberland River Holiday Park runs along the Cumberland River with many camp sites right on the river’s edge which flows through rock pools and sandy sections into the Southern Ocean on the famous Great Ocean Road. 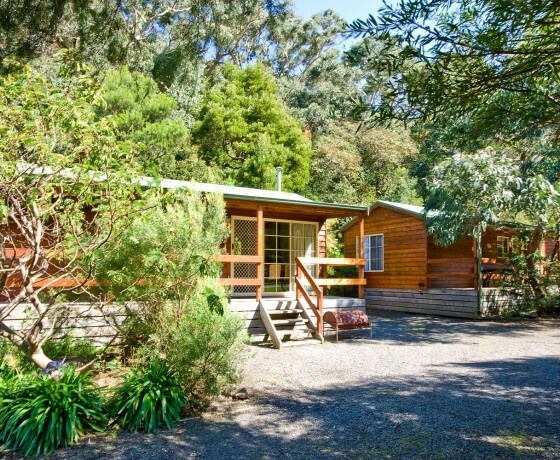 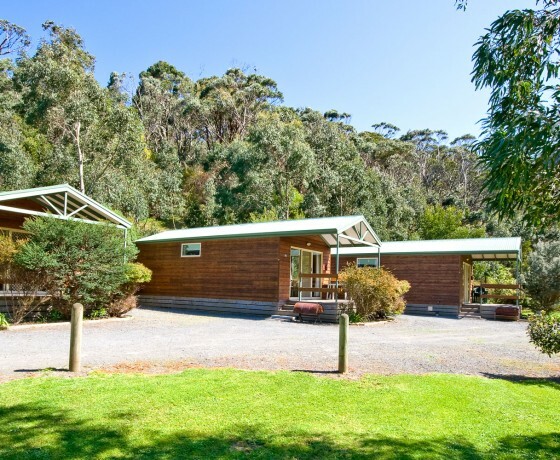 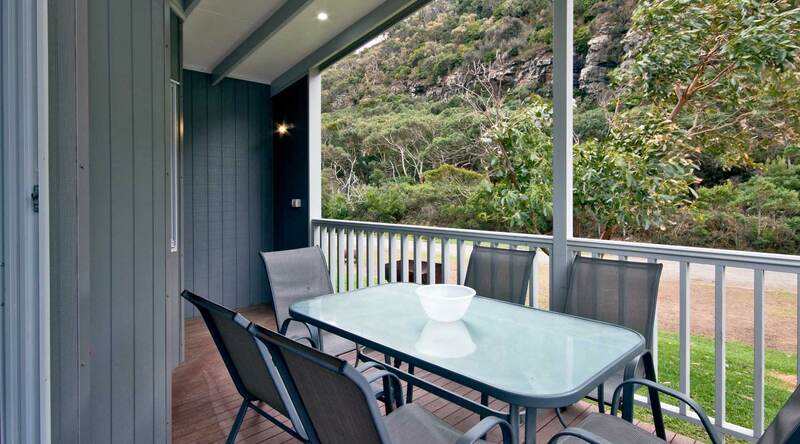 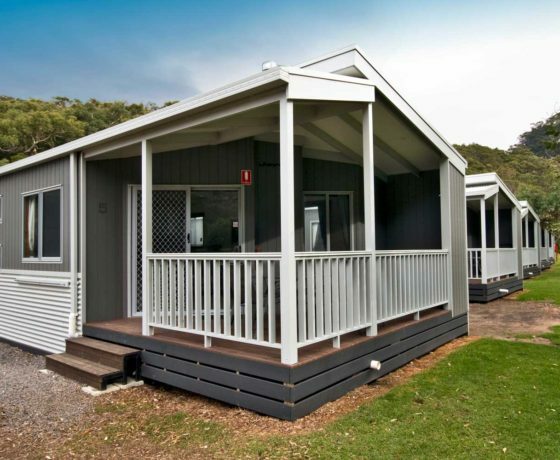 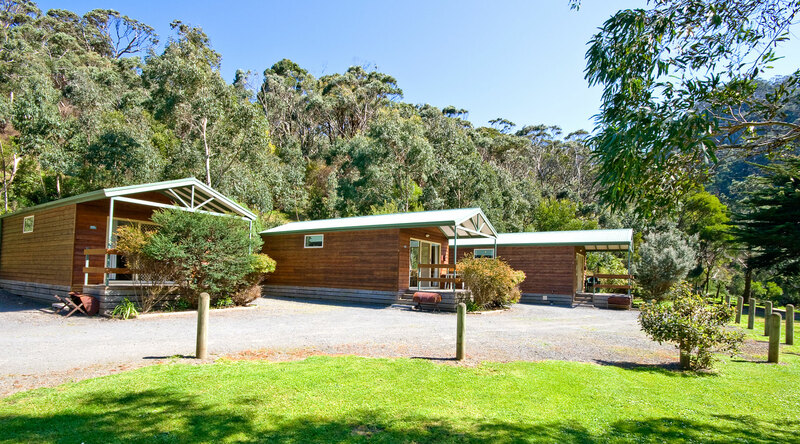 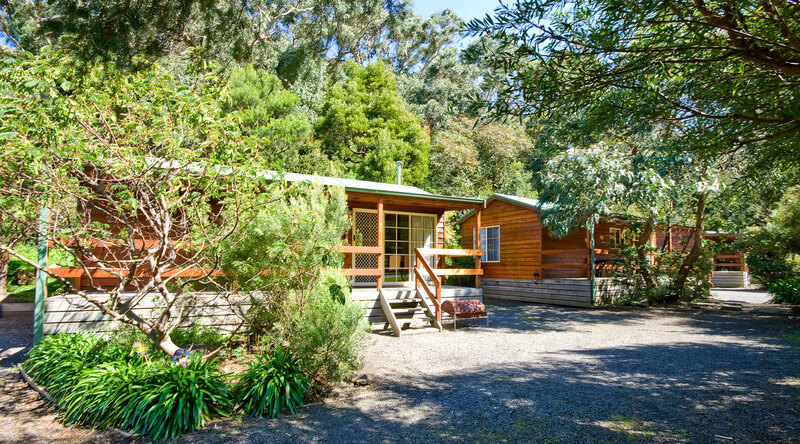 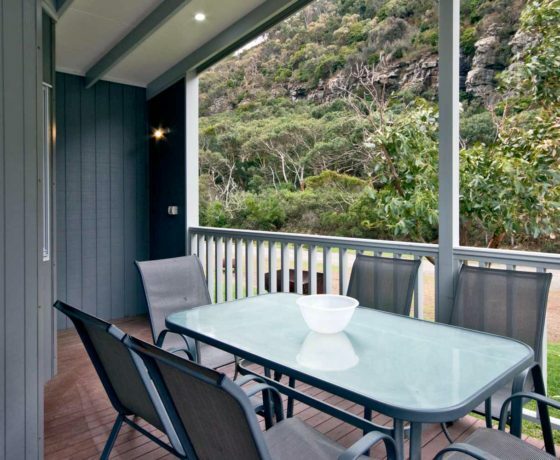 There are also Eco Tents plus deluxe & standard style cabins nestled in a lush green valley between majestic cliffs and mountains which make it one of the more scenic coastal Holiday Parks in Victoria. 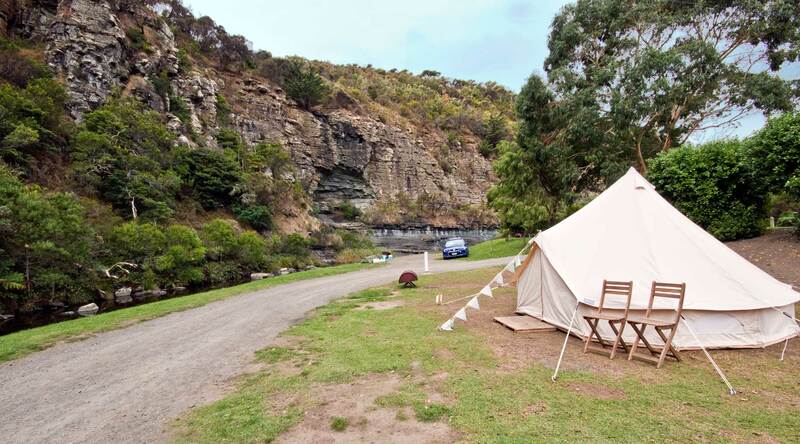 Camping by the sea becomes a reality in the beautifully kept Cumberland River Holiday Park, near Lorne on the Great Ocean Road Victoria. 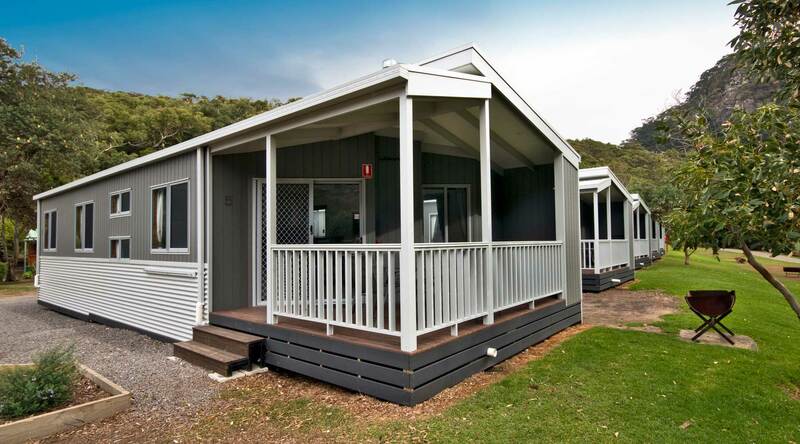 If you love caravan park accommodation then Cumberland River Holiday Park is the lushest anywhere in Australia. 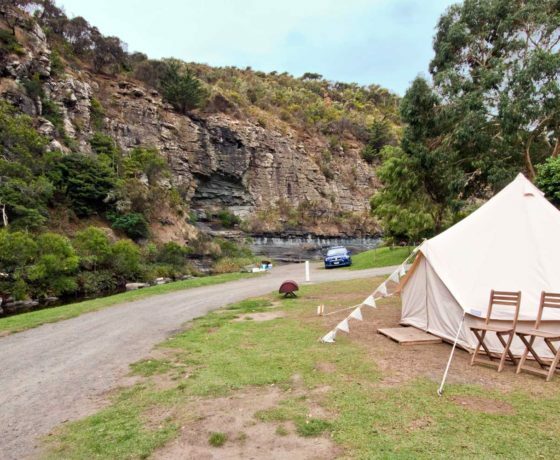 The park is situated 7km south-west of Lorne, on the Great Ocean Road. 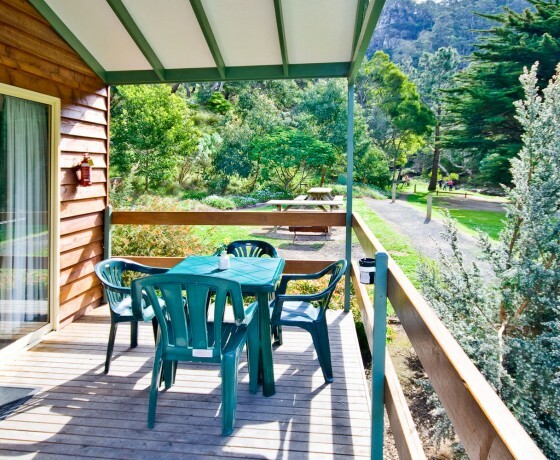 We don’t exaggerate when we say that our park is just paradise. 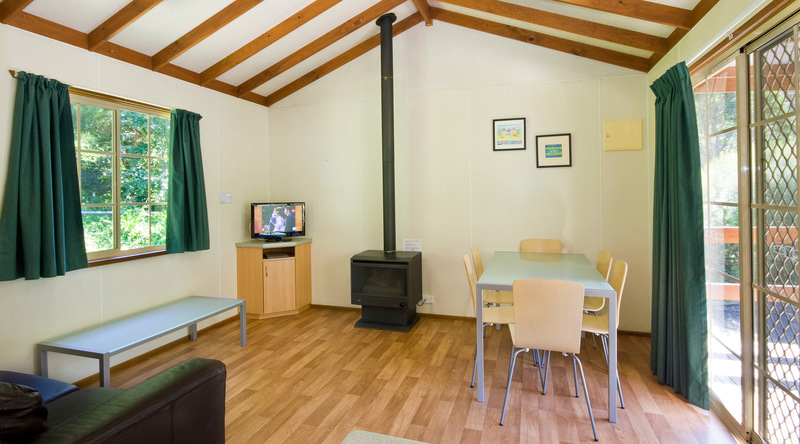 We have over 95 well-grassed and flat unpowered camping sites and 7 powered van sites with a maximum 4 people per site or a family of 6 which includes one car per site. 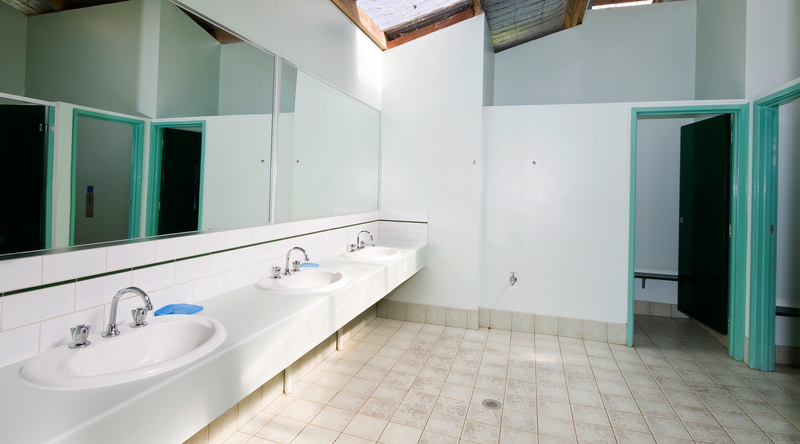 Our showers require 20c for 5 minutes of hot water. 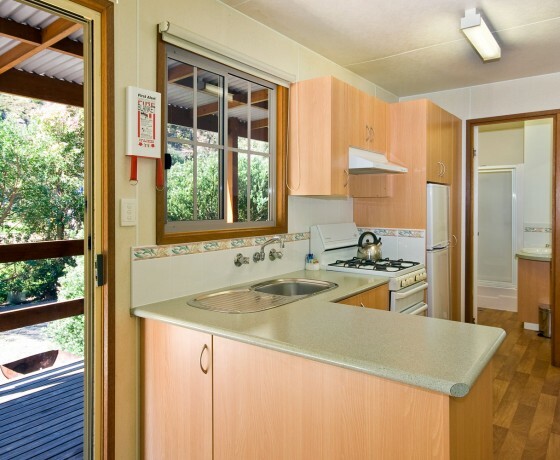 Accommodation in our Cedar Cabins with ensuite are set in a beautiful peaceful valley surrounded by bushland and the Cumberland River. 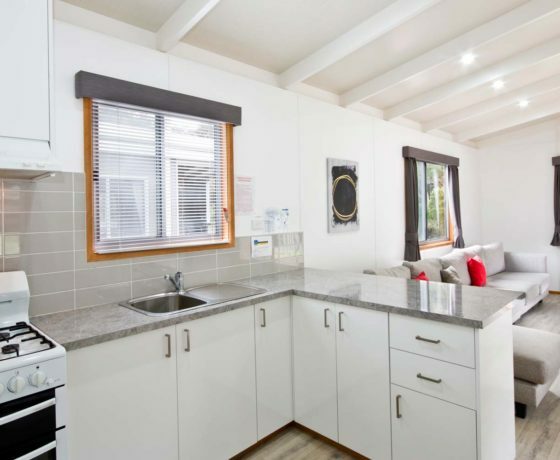 They feature a gas look-alike fire place, plasma television which has 40 channels to choose from, a fully functional kitchen with full-size stove and refrigerator. 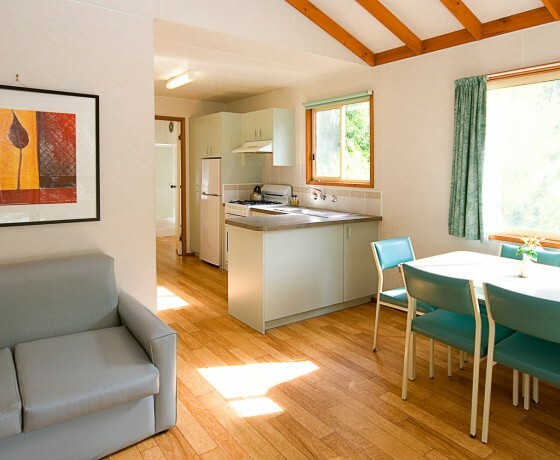 These Cedar Cabins accommodate 1-6 persons, with queen-size bed in master bedroom and 2 sets of bunks or a trio bed in the second bedroom. 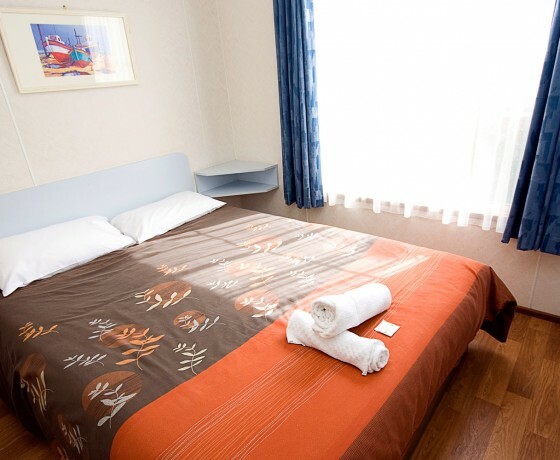 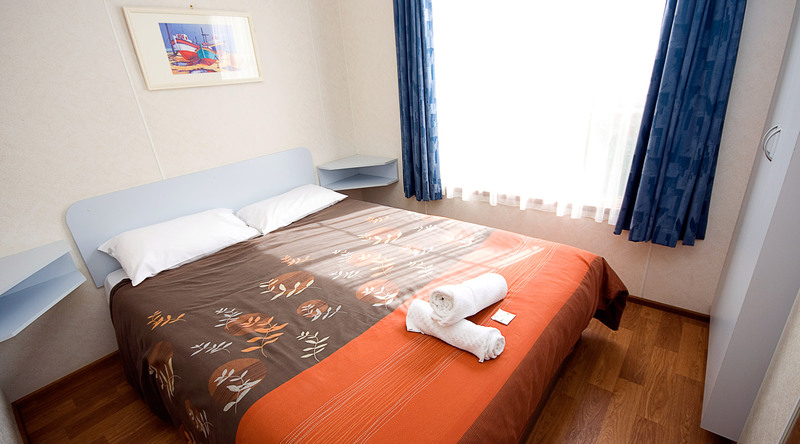 Doonas and pillows are provided for all beds but you need to bring sheets and towels. 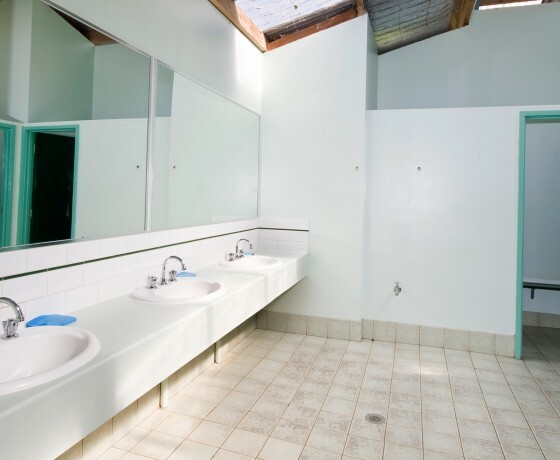 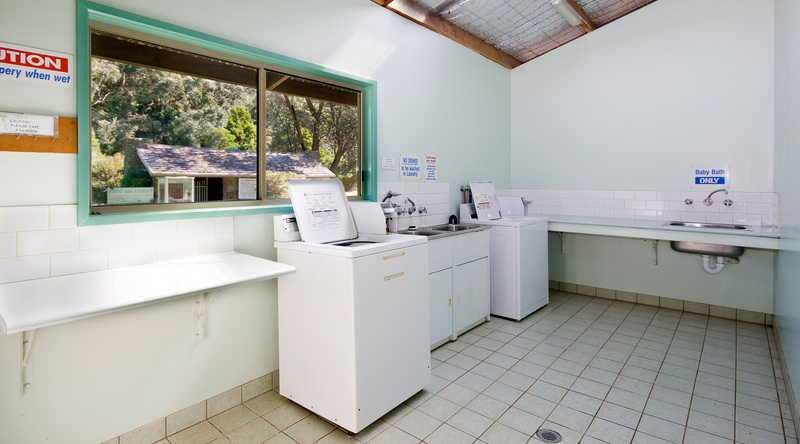 We have a separate fully equipped laundry facility situated in the middle of the park which is accessible at all times. 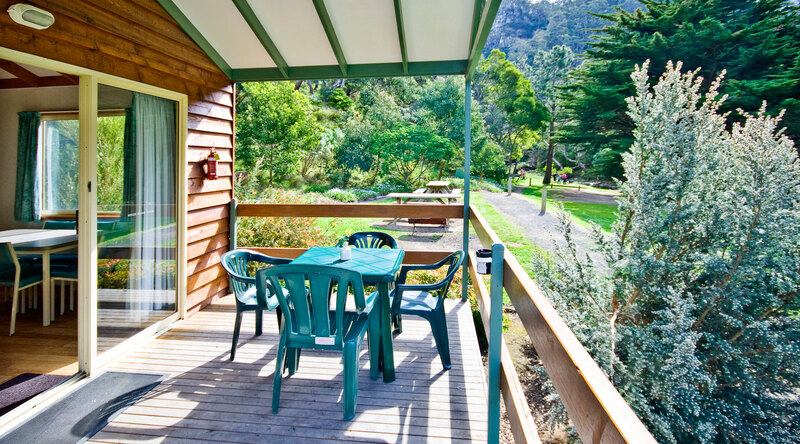 Each Cedar Cabin has a full-length veranda overlooking magnificent grounds and amazing surrounding cliffs that the park is famous for. 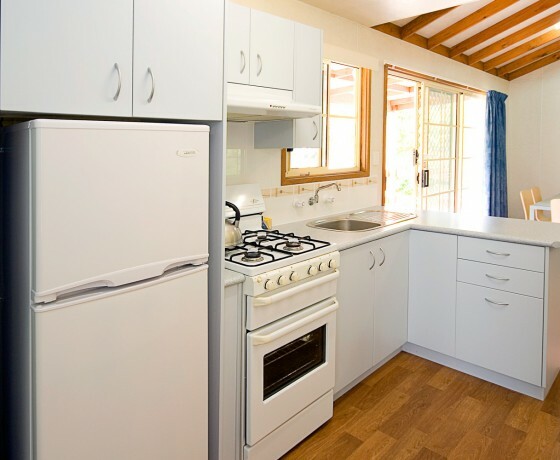 Fires are permitted in the drums provided which can also be used as a BBQ though this is subject to any fire bans that may be in force. 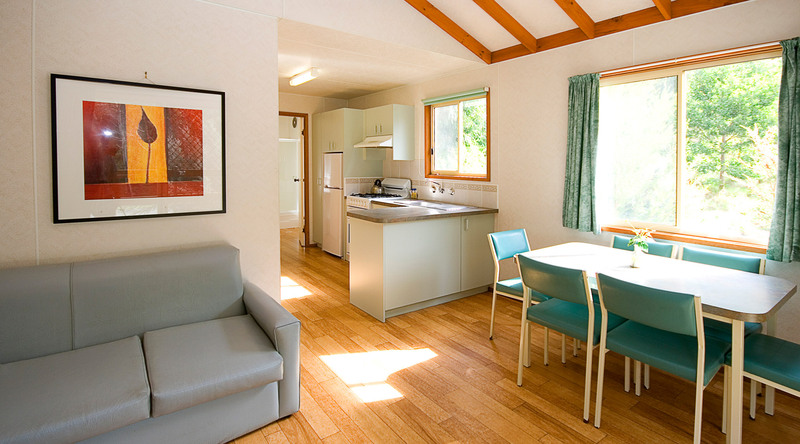 There is one low output power point located in each cabin which is only suitable for charging mobile phones/computers. 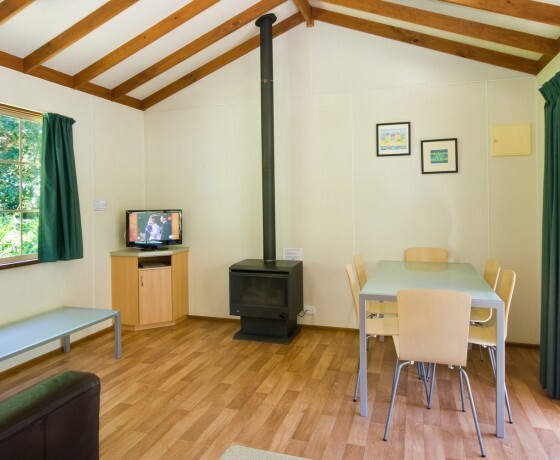 Another unique thing about the Cumberland River Holiday Park is that you can have your own campfire! 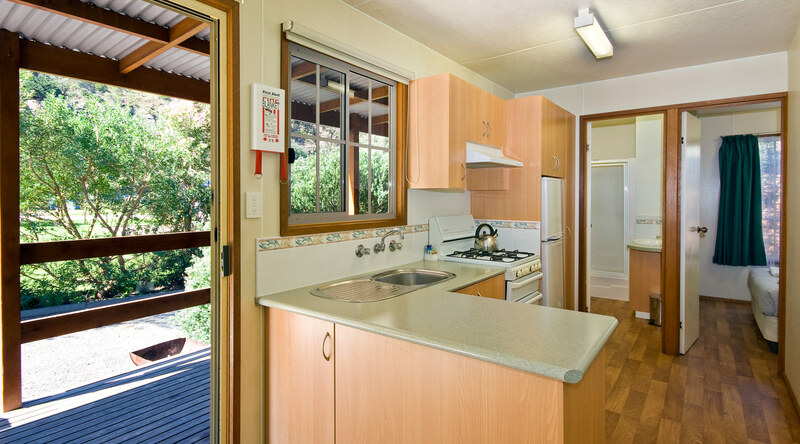 Each campsite, cabin & eco tent comes with a half barrel drum that you can use as a campfire or BBQ. 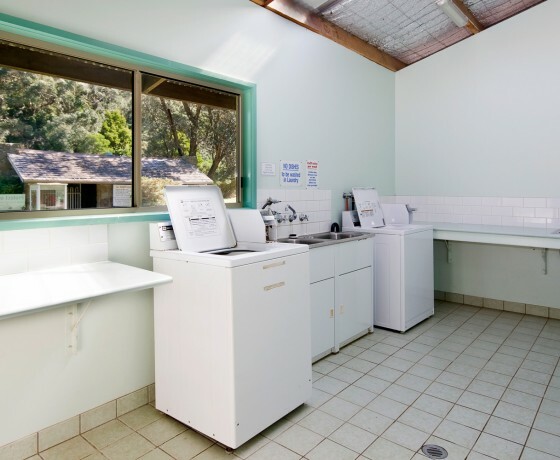 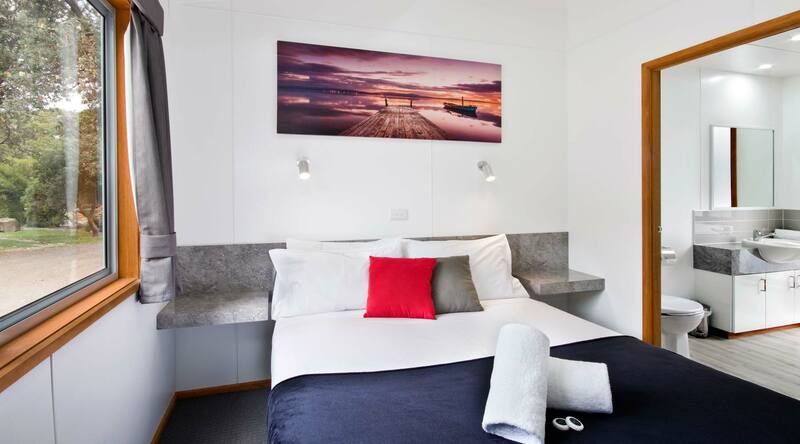 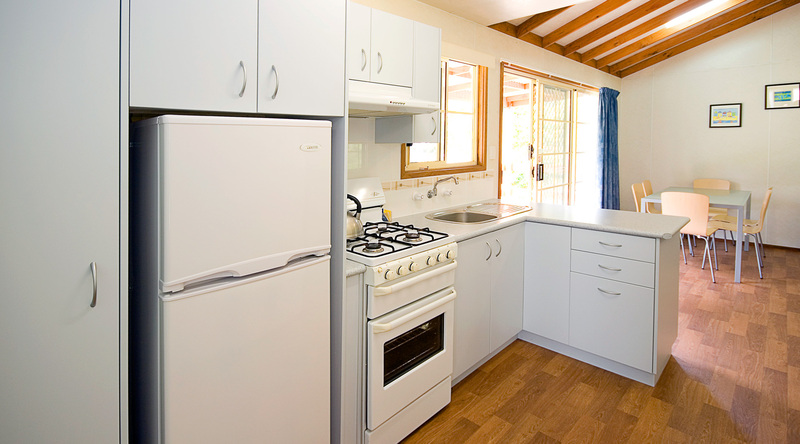 Cumberland River Holiday Park, with its well-stocked shop, LPG gas supplies, ice, firewood and pay phone, is a perfect base from which to explore the Great Ocean Road and surrounds. 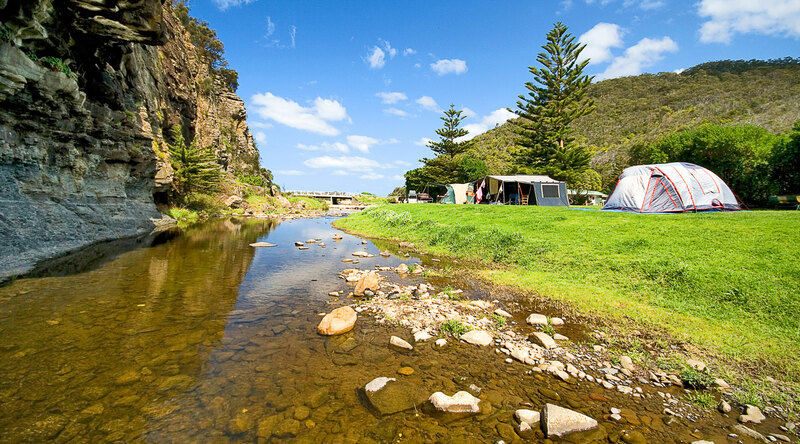 Go bushwalking or on endless coastal walks, swim, snorkel or surf at our private beach which is only a 2 minute walk away, go river fishing for Trout or try your luck at rock fishing. 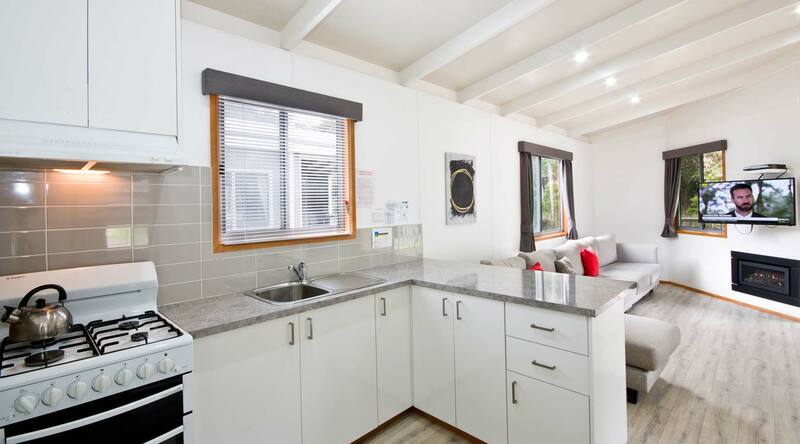 Whatever you prefer doing when you arrive here, we don’t exaggerate when we say that Cumberland River Holiday Park is simply…PARADISE. 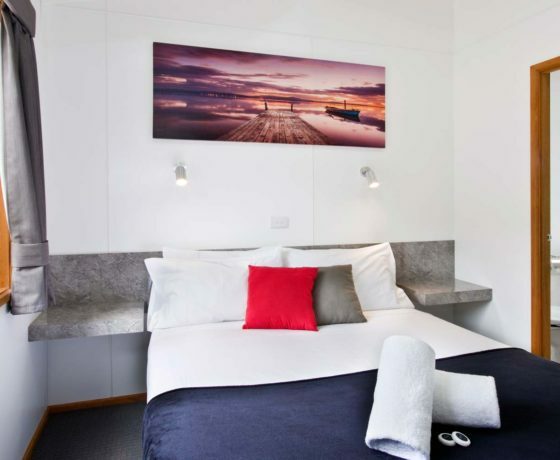 To make an email booking enquiry, PLEASE fill in the form on the far right and we will get in touch with you as soon as possible to answer any questions and confirm availability for your possible booking.